9NEWS' Kyle Clark and Marshall Zelinger served as moderators as incumbent Michael Hancock, Lisa Calderon, Jamie Giellis and Penfield Tate III talked about the issues facing the Mile High City. DENVER — Should the mayor of Colorado’s largest city, who has served for eight years, get a final, four-year term? Voters will decide on May 7. 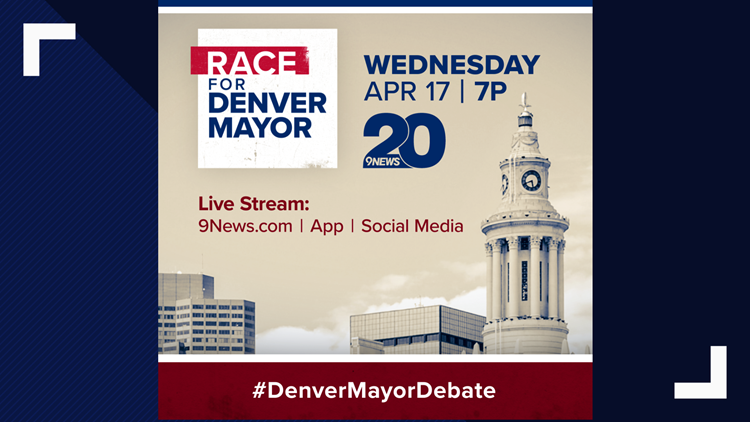 Four of the candidates who are on the ballot in the election for Denver mayor joined moderators Kyle Clark and Marshall Zelinger for a live 9NEWS debate on Wednesday night. They were asked about everything from the city's development to homelessness. One thing they agreed on? Many of the new structures popping up in town are ugly. 9NEWS is currently working on a longer recap of the debate. Check back for updates!